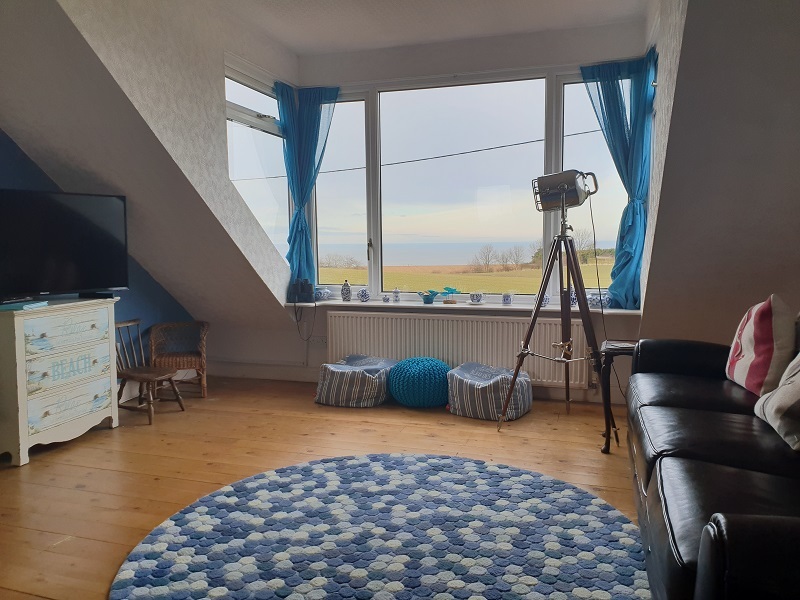 If you fancy an alternative venue which comfortably sleeps four people and has wonderful views of Filey Bay; then why not try Sea View Mews in Reighton, near Filey? This is a large, self contained apartment next to our home. It has private off road parking by the property, a large games room for rainy days, cosy dining kitchen with sea views, a large living room with 40 " smart tv and complementary netflix with wonderful views, a shower room and two bedrooms with twin/superking beds or a king size bed in the main bedroom. Outside is a private patio with garden furniture, bbq, reclining chairs and a small grassy area for playing croquet or boule. The local village playground is very close too. We can take up to two small dogs or one medium dog - the front garden is safe when the gate is shut. Take a look at the price list for 2019. Short breaks for a minimum of two nights are available as discussed in the price list and a returnable bond of £100 is required unless you have stayed with us before. Visitors to Sea View Mews can also use the 20m swimming pool and gym at The Bay which is a three minute drive away. Sea View Mews is a more peaceful, rural property than Roobarb's Retreat with the bonus of access to the swimming pool still and the less visited beach at Reighton/Speeton Sands. Bempton bird reserve can be reached via foot along the cliffs, from Sea View Mews in a couple of hours. Please view the availability calendar which is kept bang up to date to see when to book and the prices are on the cottage bookings page. 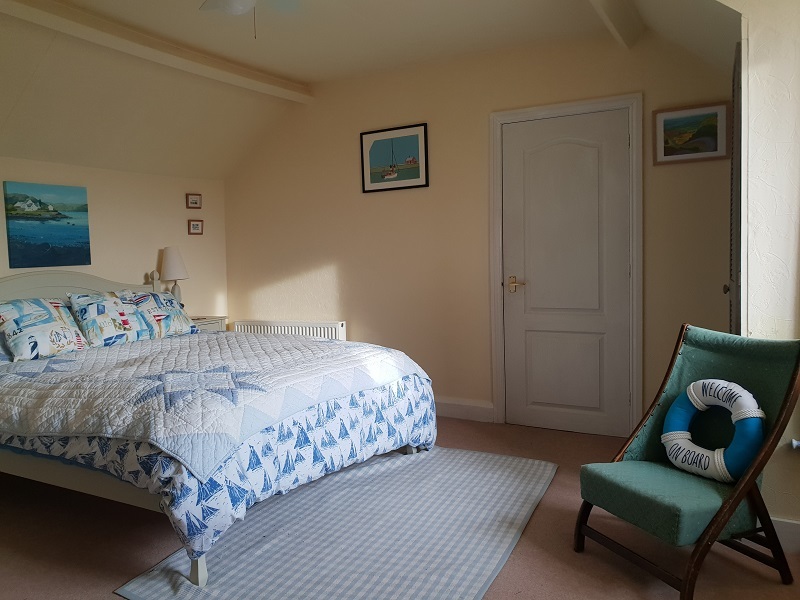 There are some more photos of Sea View Mews on the Owners Direct and Airbnb websites for you to look at as well as some excellent reviews from previous guests! Sea View Mews will also be on Trip Advisor shortly. You can have any short break not just Friday to Monday or Monday to Friday and two night breaks are available on request. We have a camp bed for an extra child plus a travel cot for babies or toddlers (this will need your own bedding) and a high chair on request. Here is a photo of the master bedroom which has lovely rural views. After having a baby 8 months ago we wanted somewhere to go in England for our 1st Family holiday. After finding some great places on the internet we were disappointed to find most we wanted didn't take dogs! Then we stumbled across Roobarbs Retreat, what a find!! We couldn't have asked for more, not only is Filey a great location you also have Scarborough and Bridlington within a 30 minute drive. The cottage is also situated in a wonderful little village of holiday homes with its own pub, pool and Italian restaurant/cafe! Roobarbs retreat really is a home from home, as soon as you step in you don't want to leave. We couldn't fault anything the cottage had everything we needed and more. We loved it that much that once we got home we were already planning when we can go back!! Thank you for a brilliant holiday!! !